Louis Camilleri (pictured) took over as CEO of Ferrari following the death of Sergio Marchionne. MILAN -- Ferrari Chairman John Elkann reiterated his support for Ferrari CEO Louis Camilleri, denying speculation a top management purge could be on the cards. "I deny all rumors about both a possible return to the past and changes in our structure," Elkann, a scion of Italy's Agnelli family, said in a letter published on Wednesday in Italy's Gazzetta dello Sport. "My commitment to ensuring stability and concentration at Ferrari is total as is that of CEO Louis Camilleri," he said. The sudden death in July last year of chairman and CEO Sergio Marchionne triggered a change at the top of the supercar maker with Camilleri taking over as chief executive and Elkann as chairman. In September Camilleri described as "aspirational" targets set by Marchionne. After the replacement this month of Maurizio Arrivabene by Mattia Binotto as Formula One principal, media speculation grew over a possible broader management shakeup. 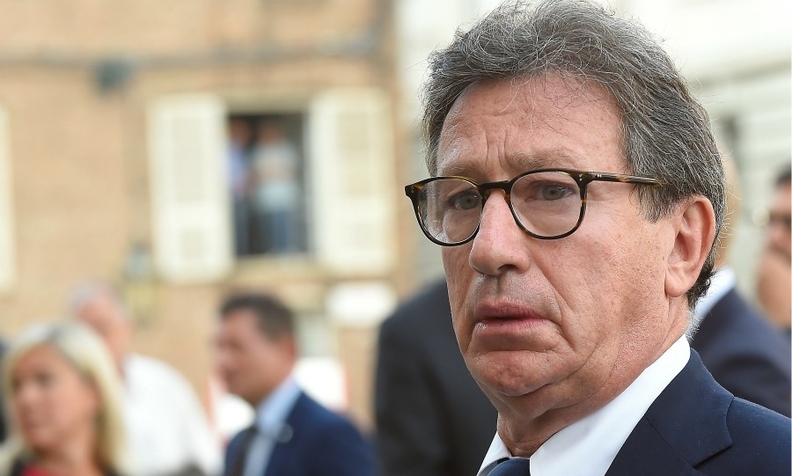 "The appointment of Mattia Binotto... does not represent any overhaul," Elkann said, adding the company had picked the new principal in common agreement with Arrivabene.